Welcome to the highly engaging outdoors program by Rivers and Ridges - Youth Empowerment camp - Wilderness Camper - Grade Alpha. To work as a team, thus develop their leadership skills. Think out of the box, such that they are self-motivated and are able to tackle their problems independently. Compete in challenges thus create a sense of achievement and satisfaction. Our specially designed Adventure, Recreational and Educational activities contribute to an all round development of your child. 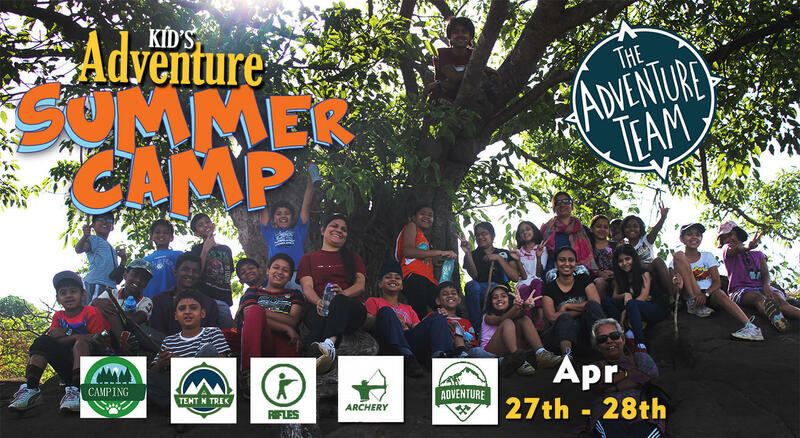 Following this camp your children will understand the importance of ecology, develop respect towards nature and most importantly they will take home the memories of a great ‘outdoors’ experience. So let’s go out and feel the real adventure. 6:00 am Pick-up from Blue Nile MG Road. Expert, Experienced and Certified Team - Pune to Pune. Certificate and Medal to each participant. All Tested and Safety gears for adventure Activities. Food charges during bus journey. Enough money for an emergency or if the child wishes to buy anything. Note: This is just a reminder of what to bring. You can bring other things as per your need. Also carry a mini sack to carry water bottle and a few munchies during the time of the trek. Booking cancellations: In case of interruption, accidents, illness, or anything else that may come up, if a reservation has to be cancelled, customers will be charged an amount depending on how far from the departure date the cancellation takes place.